Wall light from the collection Cuc modern style with light LED integrated and the possibility to adjust the length as you wish. Ideal for use as an auxiliary light in your bedroom.Dimensions: Length 42 - 72 cm (see dimensions in the image). Wall light Snowflake with oval-shaped lampshade in transparent glass mounted on metal finished in chrome or shiny gold. Choose your favorite. Place it in the bathroom, dining room, living room....and it achieves a beautiful light effect.Overall dimensions: Diameter 17.8 cm.Base dimensions: Diameter 11.7 cm. Wall light Fest in the form of a plate made of pink glass. Small metal lamp holder in gold colour. You will create a beautiful lighting effect.Glass available in amber, dark blue or turquoise and metal part in black or white. Please consult us for more information.Dimensions: Height 16 cm. Diameter 22 cm. Wall light Atom made of brass coloured metal, spherical lampshade made of opal glass and rounded wall-mounted base. 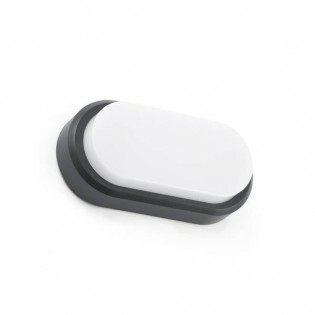 Ideal for halls, bedrooms. Lampshade available in clear glass and structure in black metal. Please consult us for more information.Dimensions: Height 16 cm. Diameter 22 cm. Wall light Ross with a concave design, an outer dome made of white metal and a gold-coloured interior trim. 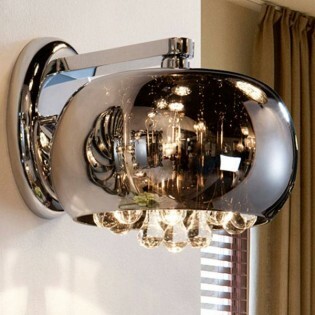 You will get a beautiful lighting effect in your hallway, living room...Embellisher available in chrome, copper, black or white. Please consult us for more information.Dimensions: Diameter 50 cm. 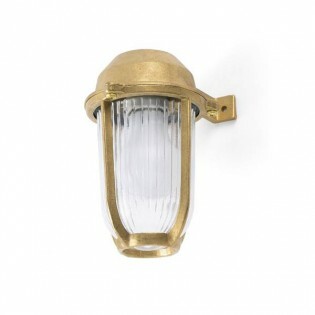 Wall light in retro-vintage style from the collection Calabri. It has a perfect design to place vintage Light bulbs and give a different touch to your stay. You can choose between two finishes: antique gold or graphite. It will fit perfectly in bedrooms, kitchens, shops.... Dimensions: High 15 cm. Length 10 cm. 15 cm Width. Outdoor Wall light Borda. It has a very characteristic design of modern style, which combines brass and glass in its manufacture. It is an ideal design to light up porches, terraces etc.Dimensions: Height 18 Cm. Length 11 Cm. Width 11 Cm. Diameter 11 Cm. Wall light with light bulb LED 6W included. The structure is metallic with a chrome finish and the mirrored glass Lampshade decorated with precious Murano glass tears. It will fit perfectly in rooms decorated with modern style such as the corridor, entrance hall, bedroom.... Dimensions: High 20 Cm. Length 22 Cm. Width 27 Cm. 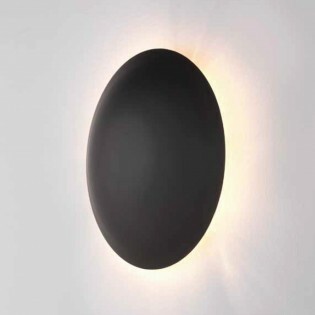 Wall light LED from the collection Crisol. Designer´s Lamp rustic with Lampshade in the shape of a candle made of glass and structure made of iron with black finish. Ideal for placing in the hallway, dining room or hallway of your home. Dimensions: High 30 Cm. Length 15 Cm Width 20 Cm. 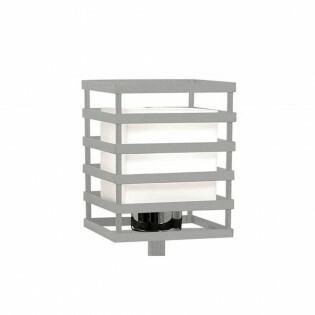 Wall light Vetro made of zamak and steel alloy and available in satin or white nickel finish. Both have a modern and simple style, perfect for spot or decorative lighting in living rooms, dining rooms, hallways, shopping malls, etc. Suitable for use on flammable surfaces.Dimensions: High 12 Cm. Diameter 6,5 Cm. Wall light ccon technology LED integrated 12W. with it you will save on your electricity bill. It is a different Retro style design with metal, steel and faceted glass parts. Ideal for placing in your bedroom, hallway, hall, etc. Dimensions: High 24 Cm. Length 8 Cm. Width 16 Cm. Bea wall light with main structure made of metal and finished in chrome or leather. The crystal decorations on the structure and the simple fabric lampshade stand out. For use in corridors, hallways, hallways, or poorly lit spaces. Dimensions: Height 37 Cm. Length 20 Cm. Width 23 Cm. Wall light from the collection Basket with innovative Lighting LED to save on your electricity bill. You can also adjust the Lighting up to three intensities. Available in white or black finish. Perfect for Lighting with bedrooms decorated in modern style. Driver LED included.Dimensions: High 12,5 cm. Length 15,2 cm. Width 18,5 cm. Wall light from the collection Cell rustic style with Lampshade made of glass decorated by metal structure finished in grey or wenge. You can choose the one you like best. Ideal for placing in areas of your home such as bedroom, dining room, living room... Dimensions: High 17.8 cm. Length 18 cm. 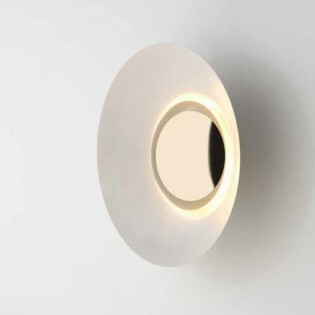 Wall light Fidelia W. It presents a simple design with elongated shape and decorative circular element in the structure. Made in polycarbonate and steel in white and LED lighting (included) with low consumption. 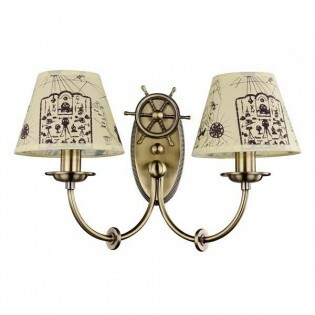 A perfect lamp to place on the wall of your bedroom, dining room or hallway. Dimensions: High 48 cm. Long 9 cm. 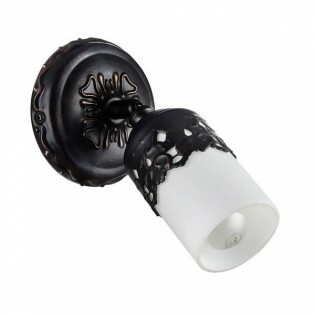 Wall light perfect for lighting hallways, living rooms, dining rooms...rustic style. from the collection of lamps Alexandra this Wall light has a main structure made of steel and Lampshade made of glass covered by linen paper in wenge color. Dimensions: High 17.8 cm. Width 18 cm. Wall light Nadine 2 with novelty LED, lighting of modern style and spectacular design ideal for lighting rooms such as the dining room, living room or bedroom. It has four lighting points made of steel and opal glass.Dimensions: High 20 cm. Long 12 cm. Wall light of the collection Nacre. It has a glass element in the base, a structure made of leather-coloured iron and a nacre lampshade. Perfect for lighting spaces such as corridors, hallways, entrances... of classic style.Dimensions: Heigth: 32 cm. Length: 15 cm. Width: 18 cm. Wall light for outdoors. It has LED Lighting to help you saving on electricity consumption. It is made of aluminium available in two colours: grey and white. Its IP65 protection degree will allow you to place it near swimming pools, terraces, porches etc.Dimensions: Height 15,5 Cm. Length 15,5 Cm. Width 9 Cm. Wall light Lao with lighting LED, classic style, available in white or black mate or white or black finish with copper detail. It has two points of light that you can point to wherever you want: in hallways, bedrooms, etc.. Driver included. Dimensions: High 14 Cm. Length 25 Cm. 12 Cm. Width. Wall light for outdoors Sticker. Its LED lighting that will allow you to save on electricity and gas consumption. Driver included. Made of aluminium with dark grey finish and high degree of protection that will allow you to place it in gardens, porches, etc.Dimensions: Height 8,5 Cm. Length 28 Cm. Width 17,1 Cm. 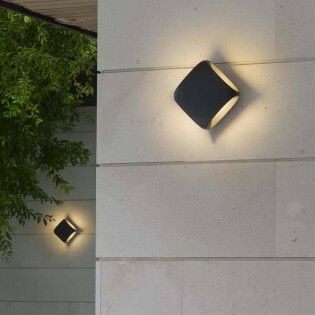 Outdoor Wall light Tone with LED Lighting that will allow you to save on your electricity consumption. 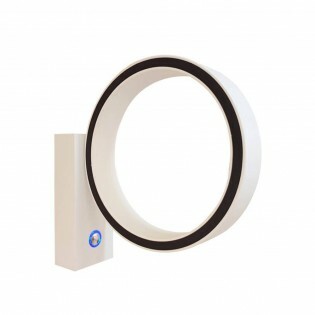 It presents a rounded design, modern style and availability in white or black finish. Ideal to palce in outdoor areas with dust or water thanks to its high protection IP65 certificate. Driver included.Dimensions: Height 10 Cm. Length 285 Cm. Width 7 Cm. Wall light Mia. It has two points of light and structure designed in metal with an elegant white matt finish, decorated with inscriptions and glass lampshades. This model of a Modern Style is perfect for lighting living rooms, bedrooms etc. Dimensions:Height: 18 cm. Width: 34,1 cm. Bottom: 12,6 cm. Outdoor Wall lightFred. Manufactured in polycarbonate and available in dark grey or white. It has IP65 protection degree ideal to protect the lamp against moisture and dust. It incorporates LED lighting technology with warm light integrated. Driver included.Dimensions: Height 10 Cm. Length 20 Cm. Width 5,4 Cm. 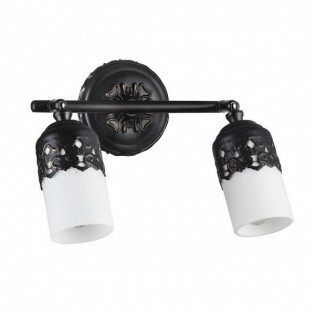 Wall light Tore in black colour to light up outdoors such as the facade, porch ... It is made of aluminium and glass with LED COB technology more powerful and efficient than the conventional bulb. Driver included. Dimensions: Height 4,7 Cm. Length 24,5 Cm. Width 15,2 Cm. 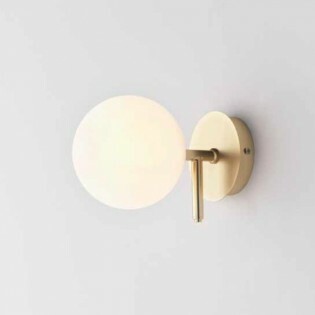 Wall light from the Collection Valli. It is manufactured in wood combined with white elements. in is an an fantastic option to illuminate home rooms such as bedroom, living room, dining room... with a modern and modern style. Dimensions:Height: 11,5 cm. Width: 12 cm. Bottom: 14,5 cm. 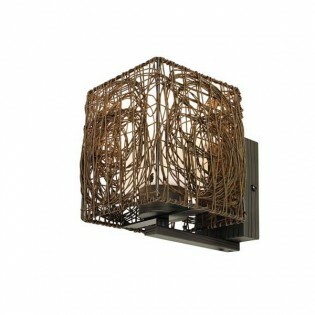 Wall light classic, from the Collection Renda. It has a metal structure with a choice of brown or white finish. Glass lampshade finished in white. Perfect for lighting rooms such as the dining room, the living room, the cellar... Dimensions:Height: 18,5 cm. Diameter: 10,6 cm. 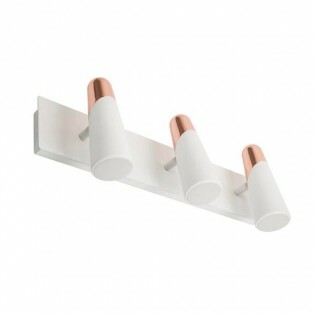 Wall light Mía available with three light points. Structure made of metal in white matt colour and glass lampshades. It has elegant decorative inscriptions on the base. Its design is ideal to illuminate with a modern style rooms such as bedroom, living room... Dimensions:Height: 18 cm. Width: 45,3 cm. Bottom: 13,2 cm. Wall light to light up retro style ambiences. This wall light included start on and off switch for greater convenience. 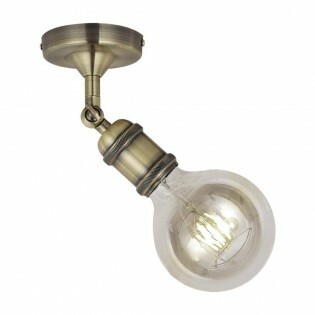 Designed with great style this wall light has a brass finish. Perfect to place in cellars, entrances or corridors that have a decoration a retro touch.Dimensions: High: 13 cm. Wide: 9 cm. Wall Light. With a modern finish thanks to its backlit methacrylate " lampshades ". Modern design with floral motifs. Available in chrome or leather finish. 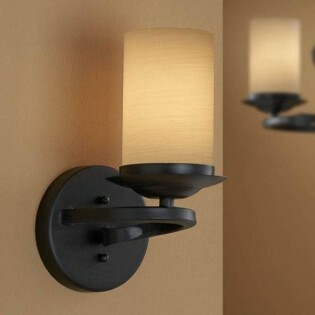 Perfect for illuminating living rooms, bedrooms or passageways. Dimensions: Height 32 cm. Width 23 cm. Depth 8 cm. Wall light with two light points, collection Renda. It is made of metal and finished in two colours: white or brown. The two lampshades it incorporates are made of white coloured glass. Its design in is an an ideal option to decorate your home with a modern style. Dimensions:Height: 23 cm. Width: 25 cm. Bottom: 10,6 cm. Wall light Cruise with decorative rudder element. Fun design with metal frame in bronze color. The plastic cups, covered with rough cloth, are decorated with original illustrations. Its classic style is perfect for lighting dining rooms, lounges, restaurants... Dimensions:Height: 18,5 cm. Width: 41 cm. Bottom: 23 cm. 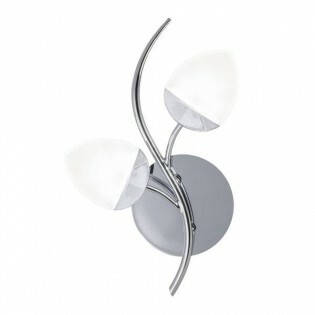 Wall light, collection Palazzo.It has a metal structure available in two colours: cherry and white. Candle-shaped design lampshade. Its design fits perfectly with classic style home stays. Dimensions:Height: 23 cm. Width: 12 cm. Bottom: 19 cm. 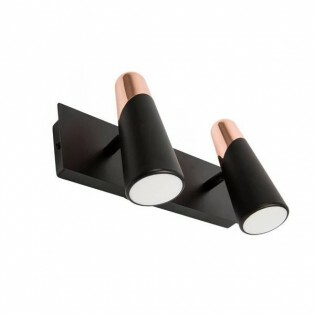 How to choose a Wall light? 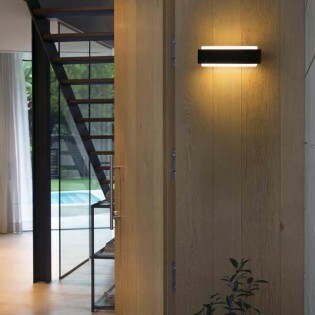 The wall lights are an ideal lighting complement for rooms such as the hallway, dining room, living room... You will discover that there are different characteristics when choosing a wall light for outdoor or for indoor use, with one or more lights, glass, metal, wood... LED wall lights can be an ideal solution to use as an auxiliary light in your bedroom thanks to their low consumption. Some of our wall lights will adapt perfectly to what you are looking for, we have wall lights of all styles and models: classic, modern, rustic... It is essential that before choosing your sconces pay attention to all the details of the room to match the colour, shape and style of the sconces.